Sessions are by appointment only. Dr. Fuller is available Monday through Friday between 9 am and 3 pm. The fastest way to make an appointment is to submit a webform or call Dr. Fuller’s office at (832) 832-0870. Margarita Castaneda, Dr. Fuller’s assistant, answers the phone during the day at (832) 832-0870. Additionally, an answering service is available 24 hours a day. As a courtesy to the patient, an email reminder is sent 36-48 hours prior to each session. Forms for the first appointment can be found here. Dr. Fuller accepts ALL insurance plans as an out of network provider. As a courtesy, Dr. Fuller’s office will verify benefits with the insurance company and, if desired, will submit the claim form to the insurance company. To make it easier for clients to be reimbursed quickly, Dr. Fuller’s billing service will electronically submit the claim to the insurance company. Once the deductible has been met, the insurance company will send reimbursements to the client directly. Full payment is due at the time of service. Please know that it takes a month or two or three to receive reimbursement for services. Curious if your health care plan will cover counseling? To find out what the insurance will cover prior to the first appointment, please call Margarita and provide her with your insurance information. We will get back to you within 3 business days to let you know what the coverage will be for out of network mental health care. We will discuss the coverage before sending in a claim to the insurance company. What is the fee for therapy with Dr. Fuller? Cash, check and all major credit cards accepted for payment. The fee is $195 per 50 minute session for an individual and $215 for a couple or family. The fee is $295 per 80 minute session. When working with a couple or family, all initial sessions will be 80 minutes. Couples Intensive Treatment includes a discounted hourly rate ranging from $1400 to $1800 depending on the selected package. See the info for new clients for more specific information regarding fees. What if I cannot afford it or don’t have insurance? 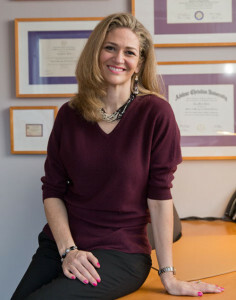 In an effort to make therapy services more widely accessible, Dr. Fuller founded and serves as the Clinical Director of the Fuller Life Family Therapy Institute, where Resident Therapists provide professional therapy on a sliding fee scale. Dr. Fuller often has clients on a waiting list in case of a cancellation. Therefore, Dr. Fuller has a 24 hour cancellation policy and requests patients notify her 24 hours in advance in order to avoid a cancellation fee. Questions? Please contact Dr. Fuller or call (832) 832-0870.